Earlyarts, the largest national network for people working creatively with children and families in the arts, cultural and early years sectors, has launched a brand new networking tool to raise the profile of creative early years practice across the world. Each marker on the Earlyarts Map features the details of an arts or early years practitioner, leader or organisation registered with Earlyarts, plus key information about their work. 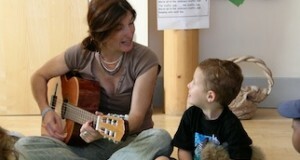 Anyone working creatively with children is welcome to add themselves to the map by registering with earlyarts.co.uk. Earlyarts believes that one of the best ways to nurture our children’s amazing potential is to nurture the skills and knowledge of the professionals who care for them. Earlyarts members often testify to the benefits they gain from sharing their experiences and knowledge with each other. To put yourself on the Earlyarts map simply register online at earlyarts.co.uk and choose to opt-in to the map. Membership of Earlyarts is free; a selection of membership packages Earlyarts Bronze, Silver and Gold offer additional benefits and services, starting at £48 for a year.